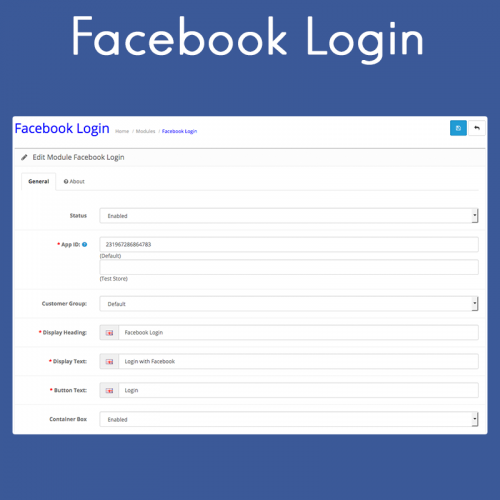 Facebook login is a quick and popular login method. 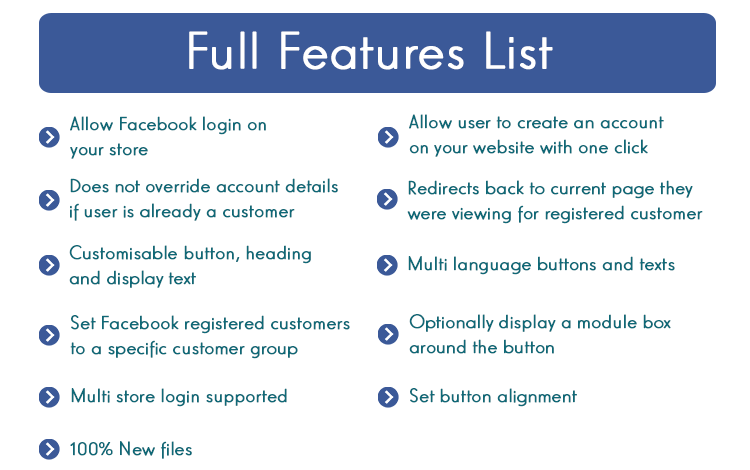 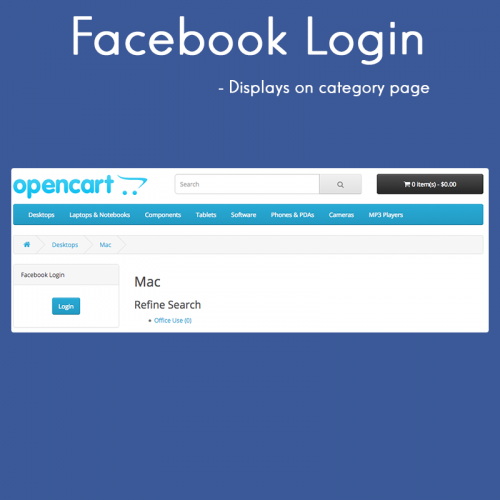 Integrating your store’s login with Facebook will give you an edge over your competitors’ websites. 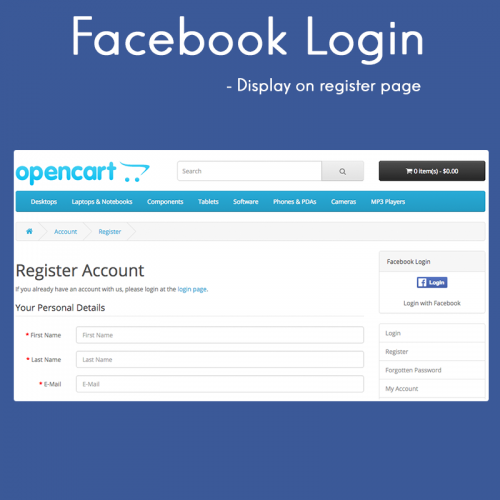 This extension allows your customer to login with Facebook and supports OpenCart multi-store and multi-language feature.